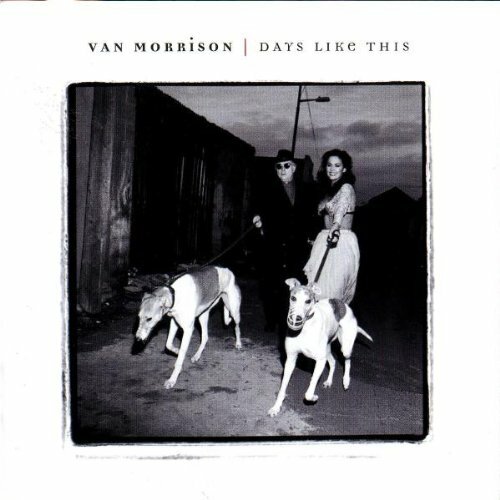 Days Like This is the twenty-third studio album by Northern Irish singer-songwriter Van Morrison, released in 1995. It is a diverse group of songs offering a variety of moods and styles. It ranked No. 5 on the UK album charts and was nominated for the Mercury Prize. His daughter, singer-songwriter Shana Morrison performed duets with her father on two tracks, “You Don’t Know Me” and “I’ll Never Be Free”. “Ancient Highway” was nine minutes long and contained the words “praying to my higher self/Don’t let me down”. It is said to be the one song on the album where he comes closest to following his muse. The title track has continued to be a popular song in concert to the present day. Most of the songs are reflective and seem to come during a time of self-examination. “No Religion” came about Morrison explained when he was thinking: “Wouldn’t it be great just to be born and nobody told you there was such a thing as religion? Say it didn’t exist and you were just told that all you’ve got is this life and that’s it…and there’s no heaven, no hell.” The song, “Songwriter” spoke of his songwriting techniques as a practical application instead of inspired as in the past. “Melancholia” and “Underlying Depression” continue the theme of soul searching. ..and then I began listening carefully to “Ancient Highway”, a nine minute evocation of pagan streams, autumn days, and a town called paradise, Van´s world in a nutshell, an all set to a Spanish tune. That old black magic seeping through, an Astral Week strum, and you´re enraptured all over again. This could very well be, in my humble opinion, one of the greatest pieces of music ever written, sung and recorded.